The Green River Trail strangely continues beyond where the sign says it ends. Yes I thought I had come to it’s end. 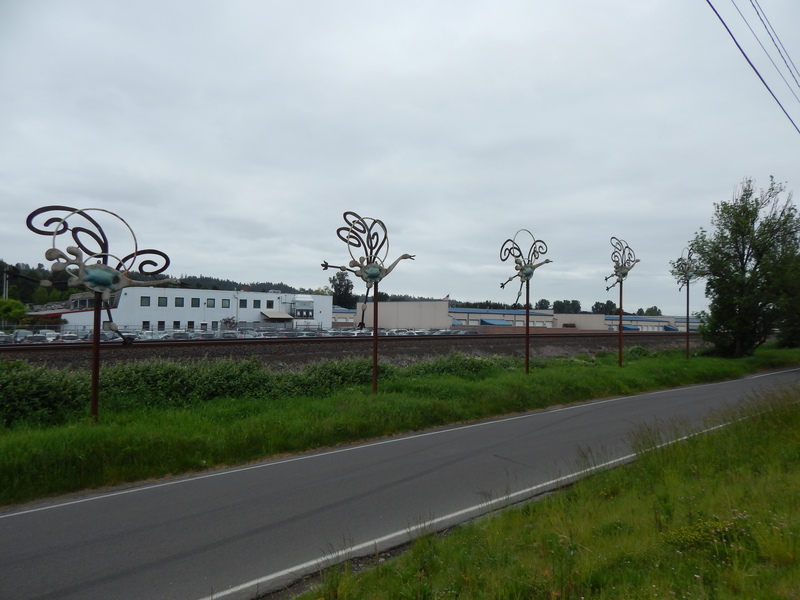 To find the next leg along the river, I traversed a road bordered by a pallet company and a tow yard. An old gated road opened before me and I followed it next to the river. 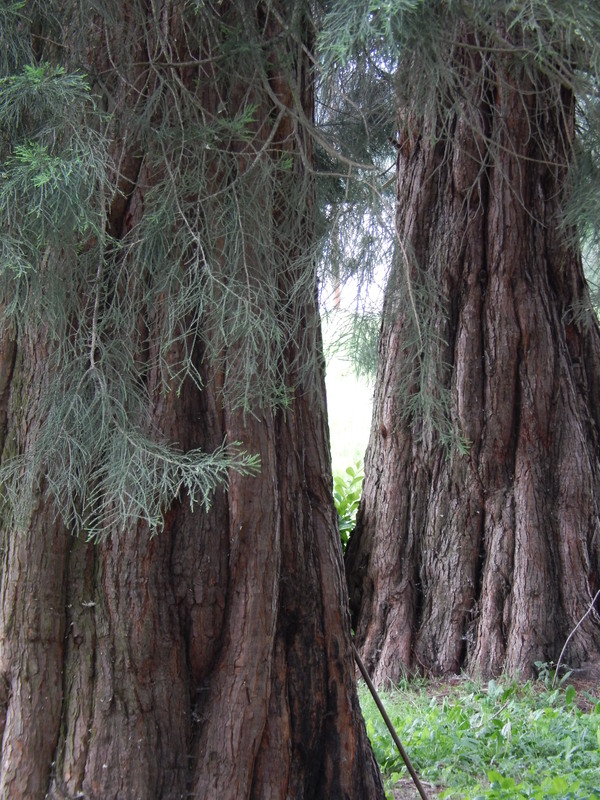 As I rounded a corner I was drawn in by a grove of redwoods – aka Sequoias. They are a tree of magic that creates an enchanted forest scene. One expects a gnome or fairy to step from around the trunk. 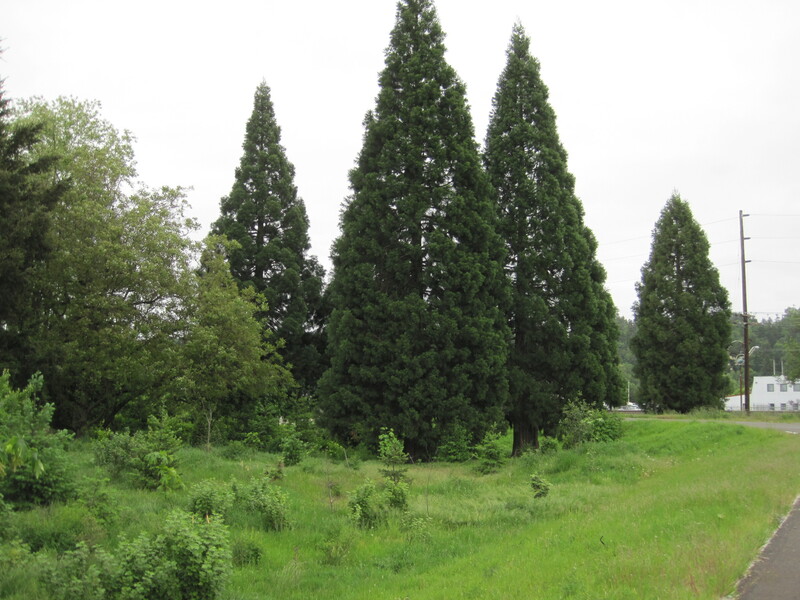 These trees are not native to the Kent Valley and had been planted here more than a hundred years ago. A few other heritage trees were close by which leads me to believe this was an early homestead or farm. They were someone’s entrance sentinels. I lingered here and inhaled the peace they create. The Enchantedness did not end in the grove. 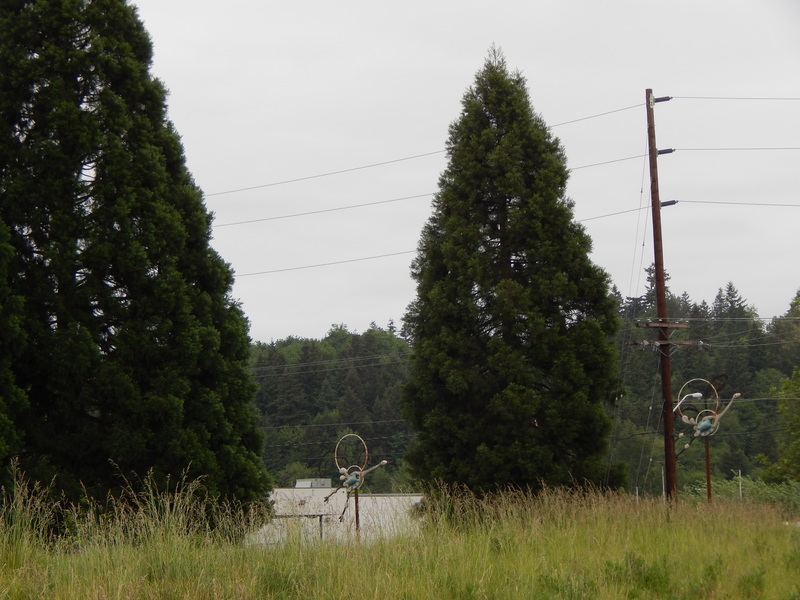 As I exited the trees I discovered an art installation. This small grove is sandwiched between the Green River and an active railway. 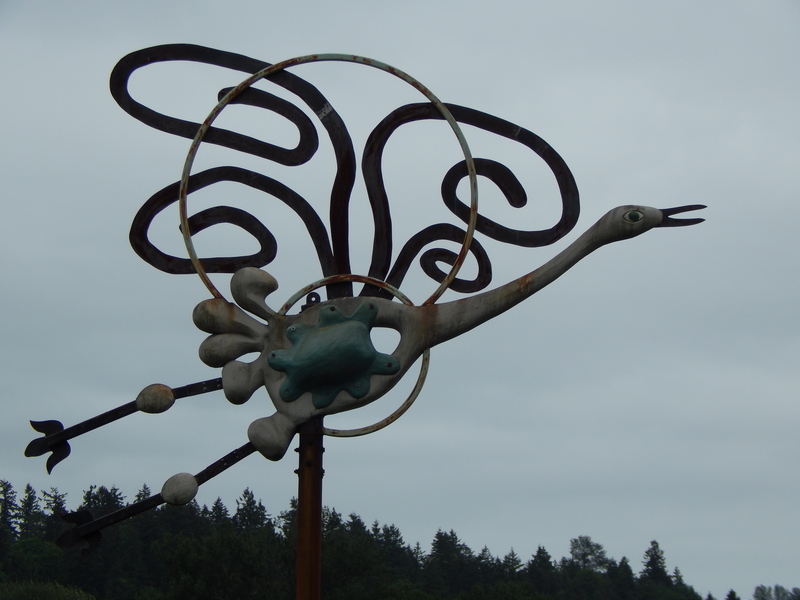 The art is five heron like birds fashioned from iron on poles. Some research of them turned up nothing and makes me wonder how old they are. Were they related to the old homestead? or did the railroad put them there for their passengers enjoyment. Serendipity is alive wherever I roam. Magic and new things only await us around the next corner.